Public transit commuters are increasingly looking to transportation providers for technological advancements and social media communication. Public transportation customers expect technological advances and communication via social media outlets from transit providers – and are willing to pay more for it, according to a survey released by Accenture, a management consulting, technology services and outsourcing company. The survey, conducted online in multiple languages between August and December 2012, polled 4,500 public transit commuters over the age of 18. It examined traveling behaviors, opinions on various modes of public transit, and ideas for improvement of these systems. The survey found that commuters in Washington D.C., Los Angeles and New York are willing to pay more to make trips less time consuming and more convenient. L.A. residents were most willing to pay higher fees for improved travel experiences, including smart phone integration, paperless ticketing and social media communication. Overall, respondents expect commutes to be simplified, organized and less stressful, according to the study. A majority of “straphangers” wanted to see smart phone technology applied to the public transit system. The survey found 75 percent of all commuters polled were willing to pay more for this upgrade – with 83 percent willing in L.A., 76 percent in D.C. and 80 percent in New York. 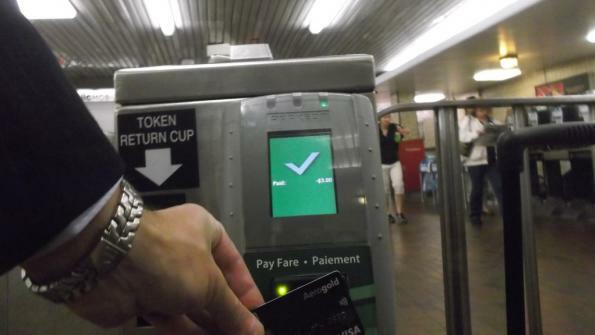 Most commuters anticipate that smart phone ticketing will be available by 2014. Of those polled, 79 percent of mass transit users in New York want to be using smart phones to buy tickets next year, 73 percent in D.C. and 85 percent in L.A.
Paperless ticketing was another way commuters wished to see rides improved, according to the survey. In D.C., New York and L.A., over 80 percent of respondents would be willing to pay more for a totally paperless trip. 90 percent of L.A. commuters would be willing to do so, 89 percent in New York and 81 percent in D.C. The study also found that commuters increasingly wish to get information from social media – a communication method that has remained largely untapped by public transportation providers. In Los Angeles, 75 percent of commuters follow or intend to follow public transit providers on Facebook and 76 percent follow providers on Twitter. Yet, only 20 percent of commuters report having communicated with a transportation company via social media on a daily basis, according to the survey. In New York, 75 percent follow the MTA on Facebook, and 68 percent follow them on Twitter. 21 percent of New York commuters reported communication on a daily basis. 55 percent follow public transit’s Facebook in D.C., 62 percent follow its Twitter, and 22 percent report daily communication, Accenture found. “Companies need to deal with customers on their terms – by providing them with transit options that meet their needs – when, where and how they want it, and that requires that the interaction be relevant to the situation and their needs at the time,” Mike Wilson, managing director of Accenture’s Transportation practice in North America said in a statement.